This post brought to you by Arcsoft. All opinions are 100% mine. Do you click and share lots of pictures? Probably yes! But sharing pictures or even an album on Facebook, doesn’t really able to depict the true feeling or memory associated with the shared content. And if you’re thinking to share the album with lots of pictures then believe us viewers won’t have that much time, perhaps viewing every picture one by one is seriously boring. Next, video can be an alternative but most of the users won’t watch it because of their slow or limited data connection. So, what’s the alternative? Probably, we want something more like a storyboard that combines pictures as well as videos… We’ve actually got a way around to make memory sharing more expressive, appealing and entertaining “Whip”. 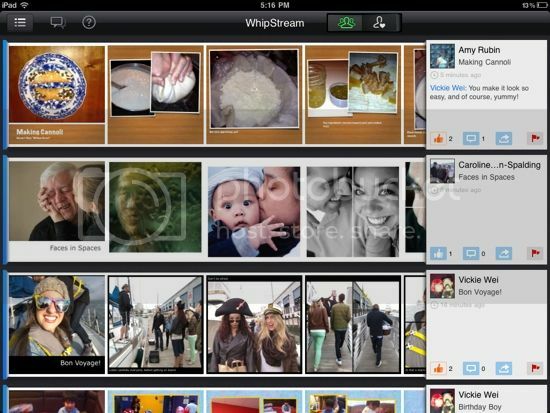 Whip is an application available on iOS, Android and Windows 8 platform that eliminates the incapability of Social networks by effectively maintaining connections between media files making them more expressive and appealing Whip Social Album. 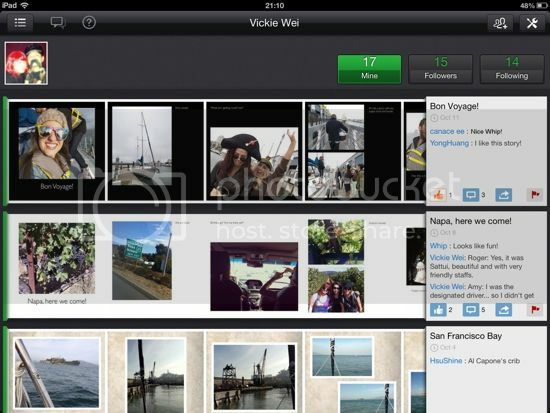 It’s more than simple photo sharing websites. Whip™ is fast, effective and an effortless way to depict the media content in a pretty sensible and feeling-full manner, be it a picture, video or even an .mp3 file. With Whip you can represent a whole story with its original feeling and you can focus on those moments that are most important. From a birthday party to a marriage ceremony, every moment can be represented effectively and effortlessly with just few taps. Enhance the representation of the captured media with funny comments and a perfect audio in the background by creating an interesting Whip Social Album. This innovative application is developed by the Arc Soft who has 17 years of extensive experience in the field of cameras and photography. Whip has a strong community where you’ll be able to view whips from the celebrities like the killer band, famous fashion personality Eva Chen and lots of more. 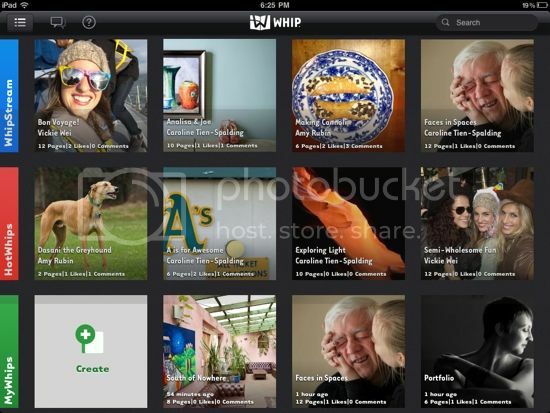 Creating whip is extremely easy just whip a media file, customize it and share it. You can use the media files from your tablet internal or external storage. You can even add the photos directly from Facebook. Integrated one-touch enhancement feature that take care for the perfection of your picture. You can add text to the front cover or even to every single picture to make the whip more expressive and funny. You can also share your story (talent too) to the whole world with the help of social networks like twitter, Facebook, email and even through SMS. Most important, your friends don’t need whip application to view your whips as they can be viewed on any device capable of playing media files. Whip does have a strong community and you can follow or get followed by various members from all over the world… More like a better Instagram alternative. Whip have plenty of handful features like auto-play, slideshow feature, commenting and like whips, adding music effects to whips, in-built styles for whips and lots of more. Search option is pretty helpful which can be used to search whips and whipsters according to your interest. Whip is really easy to use and with minimum efforts you can create a wonderful whip social album with just a few taps. You can enhance the representation of the whips by adding funny comments and inbuilt special background audio files. The application is definitely unbeatable in terms of flexibility. You can easily transform the picture into the way you want to. It has plenty of inbuilt styles and interactive features like automatic crop, automatic-organization, auto-play, slideshow feature and auto face detection. Integrated one-touch enhancement feature is really helpful and take care for the perfection of your picture. The Whip is available on various popular platforms like iOS, Windows 8 and even on Android. The Android version is released recently and praised by lot of Android users. The availability of this application in different platforms is really a plus point. The Whip has a free iPad app, Android and Windows application and can be downloaded from their respective stores. Try to represent a moment with Whip and believe us you’ll love watching the amount of likes and comments rolling in. Give it a try and let us know how it was.